Liposuction may take several forms. At Restore SD Plastic Surgery, we utilize the SAFELipo technique as our primary means of performing liposuction procedures in San Diego. Whether it is your tummy, love handles, flanks, thighs, arms, or chin, we have a treatment for you. Today we are going to talk about SAFE Liposuction. SAFELipo is an acronym that stands for Fat Separation, Aspiration, and Fat Equalization. 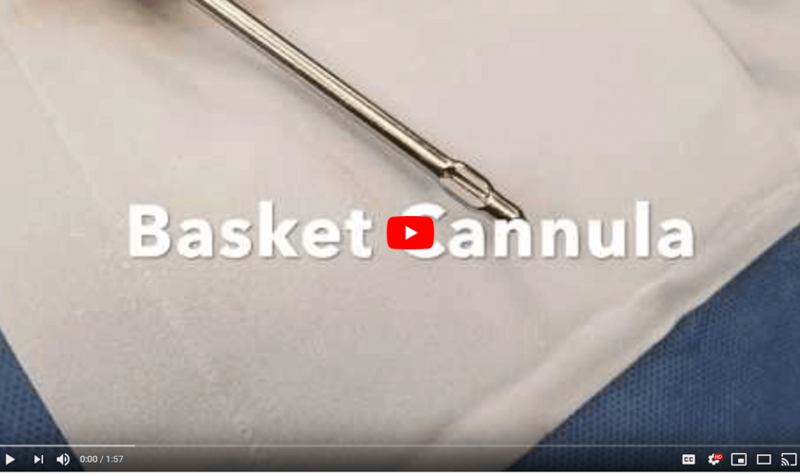 It is a technique that involves an instrument known as a basket cannula which can be seen on the screen which is essential during the fat separation and fat equalization components of the case. The initial phases of the case involve infusion of a tumescent solution as well as fat separation using a power assisted handpiece. In this segment of the video, you can see Dr. Douglas performing infusion of the tumescent solution along with the fat separation portion of the case. The fat separation involves separating different tissue layers and preparing for the suction aspiration component which will be seen next. In this segment of the video you can see Dr. Gallus performing liposuction using the SAFELipo technique on the inner thigh of a young woman. It is very important during liposuction to avoid contour irregularities or over suctioning any one area. That is why it is critically important to see only a board-certified plastic surgeon for your cosmetic liposuction needs. Lastly, fat equalization is performed. Fat equalization is critical to the final result because it helps avoid any lumpy areas, contour irregularities, or dimpling. In this segment, Dr. Douglas is finishing a liposuction case with the fat equalization portion. So, when you are ready for your liposuction using the SAFELIpo technique, look no further than Restore SD Plastic Surgery. We will look forward to providing a high quality patient experience for your liposuction needs. When you are ready for the best Liposuction experience in San Diego, look no further than Restore SD Plastic Surgery. Call us at 858-444-7578 to book your complimentary liposuction consultation with board-certified plastic surgeons Dr. Trent Douglas or Dr. Katerina Gallus today!